The session planning is in its final stage, and you should hear from your session chair(s) within the next week. We live in an age of accelerating and transforming social change. Old rules no longer apply and taken for granted solutions fail. This time of transformation is an invitation for sociology to re-vitalize the study of society. As a critical and emancipatory discipline, we are situated between literature and science, equipped to observe, analyse, and understand fundamental problems that lie in the blind spot of other disciplines. But to retain our capacity to ask the most pertinent questions, we must also be aware of our own blind spots. With the 27th conference of the Nordic Sociological Association we invite colleagues to consider which blind spots that we have missed so far and to identify which blind spots should urgently be explored. You can expect a programme with keynote addresses from Michael Burawoy, Eva Illouz, and Guy Standing, a topical series of moderated panel discussions, and a wide range of regular sessions. 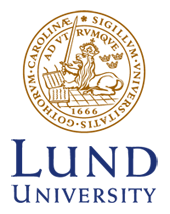 Welcome to Lund, 14-16 August, 2014! This page will be updated continuously as more information on programme, registration, etc. become available. Th 27th Conference of the Nordic Sociological Association, is organized and hosted by the Department of Sociology at Lund University, Sweden. Abstract submission is closed. Registration is open.